Who should be leaving Manchester United this summer? 81 points in the league table is considered an excellent achievement as normally, that would be enough to give you a title race, perhaps even allowing you to win the league. However for Manchester United, even with the number of points collected, this league season is one to forget. Finishing second seems like an admirable finish but the 2017-18 campaign was dominated by noisy neighbours Manchester City and Jose Mourinho failed to mount a title challenge from early as October. Pep Guardiola has taken the league by storm and United were left behind eating dust. But whose fault was it that the Citizens couldn’t be caught? 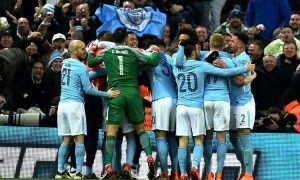 At times United looked very good, keeping up with City’s impressive wins and pushing them during the early stages, but a lack of consistency and especially a lack of backup options meant that challenge simply couldn’t be sustained. “You’d normally say finishing second and reaching the FA Cup final, would be great but when you look at the money they’ve spent in the last few years and watch how they play“, Jamie Redknapp commented for Sky Sports. “United fans have been blessed watching some great sides but it’s hard to watch this United side. There’s not a lot of joy in their play. I still think Jose’s searching for something when you look at the teams and systems.”, added Redknapp. As much as the style is to blame, some fingers have to be pointed at the players too, especially the ones that have shown inconsistency throughout the season and begs the question, will this current squad stay together? Judging by Mourinho’s harsh criticism of some of them, I highly doubt it. There have been many names in the press who we know are in the firing line when it comes to underperformance. So, who’ll be leaving Old Trafford this summer? Which players will feel Mourinho’s wrath? Who will be sacrificed in order to improve the Red Devils next season? Here are the leading candidates. Luke Shaw has had a highly critical campaign under Mourinho for the second season running and although the Englishman has another year to run on his deal, his £130,000-a-week wages are hefty for a player that is behind 33-year-old Ashley Young as Mourinho’s first choice at left-back. The criticism has come many times across the season, with Mourinho labelling Shaw ‘lazy’ explained the reason Young has been the front choice when Shaw’s mistakes were proving costly. What followed to spark suggestions of a summer departure was a half-time substitution in the FA Cup when United were 1-0 up, with Young coming on to replace Shaw who seemingly had nothing wrong with him. It appears as if all confidence is lost and the left-back has ran out of chances. I fully expect him to be sold this summer. The 28-year old, Daley Blind has been on the fringes of the Manchester United squad all season and hasn’t really been a player Mourinho entrusts. The defender joined in 2014 but didn’t start a Premier League game for the Red Devils since August. Roma were interested in signing Blind last summer and Emerson Palmieri’s move to Chelsea in January has only increased the Serie A giants’ need for reinforcements, which could definitely see the Dutchman leave. Mourinho will be on the lookout of a powerful defender and selling Blind makes sense considering he signed a contract at the beginning of this year to ensure he isn’t allowed to leave on a free. I wouldn’t be surprised to see the back of Blind in the window. Another defender which has rarely featured in Mourinho’s plans is Italian full-back is Matteo Darmian and he doesn’t appear keen to stay at Old Trafford either. There has been something missing in Darmian’s game which has seen him be a peripheral figure this season and there’s no doubt he will not be missed at United. The 28-year-old has already hinted at an exit. “I’m living a great experience here in England. I’d say yes to United again. It’s one of the best clubs in the world. I won several trophies here but I miss Italy. Let’s see what happens at the end of the season.”, said Darmian quote by The Sun. That definitely sounds like he’s entertaining offers from Italy already. Manchester United’s successful Plan B option, Marouane Fellaini is free to leave in the next couple of weeks as his contract runs out. Fellaini rejected United’s last contract offer – believed to be around £145,000-a-week – and he will leave for free at the end of the season if the club fail to hand him improved terms. 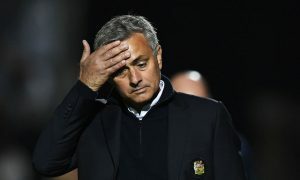 This will come as a shock as for what seemed like a poor season where he barely featured, the Belgian quickly came back into Mourinho’s plans when he needed a Plan B option. The 30-year-old’s winner against Arsenal in the dying minutes cemented his status as Plan B hero but he has already commented how United’s reliance on him late on this season may have come at the wrong time. A shock contender for the exit door he may be but Paul Pogba certainly has divided opinion this season. The Frenchman has done little to justify his price tag and although this shouldn’t determine how good the player is, it should certainly be an indication of Pogba’s potential which seems to be slipping further away with every game. The £89m signing certainly has shown glimpses of his great talent over the course of the season but too many games have seen him come across as ‘lazy’ and ‘careless’, which hasn’t gone unnoticed by his manager. I think although there is an obvious rift in the camp, Pogba isn’t the type of player to run away from a problem and I think he’ll be keen to prove his doubters wrong. He’s still very young and has a lot of time to prove himself, and I believe Mourinho will allow that. 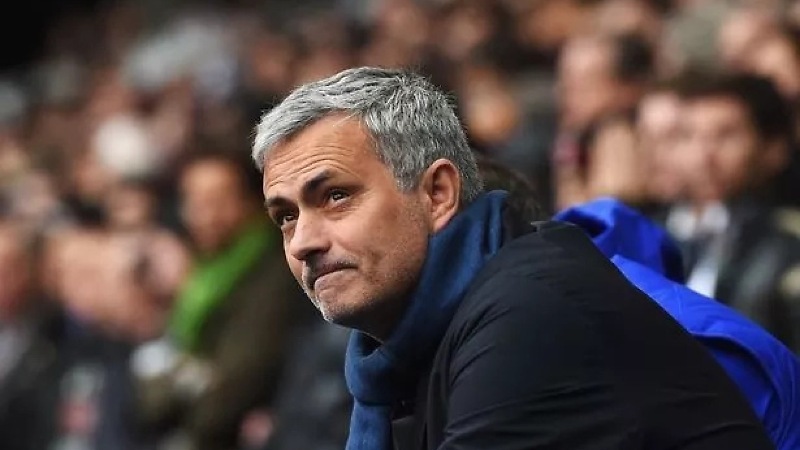 There’s rumours of up to £150m in the transfer kitty for Mourinho to dip into and no doubt he’ll be adding further funds by disposing of the underperformers. This will undoubtedly be Mourinho’s defining season in his Manchester United career as the board will be adamant the title returns to the red side of Manchester. Whether he can achieve that will highly depend on this summer’s dealings. 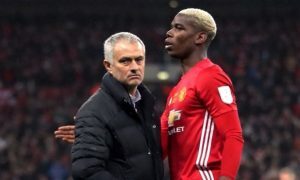 Manchester United current state and what Mourinho does wrong? What’s behind the conflict between Jose Mourinho and Paul Pogba?